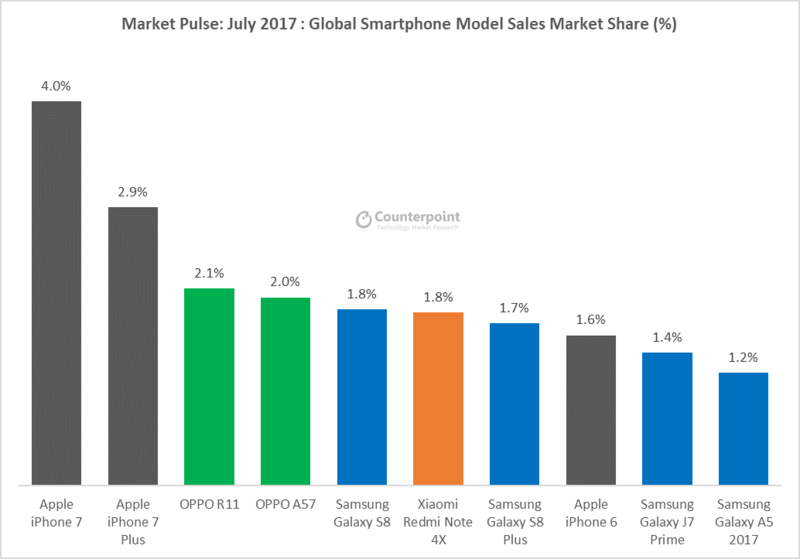 Commenting on the best-selling models in the month of July, Senior Analyst, Pavel Naiya highlighted, “Apple continued to drive its flagship momentum with iPhone 7 & 7 Plus; still the world’s best-selling models. 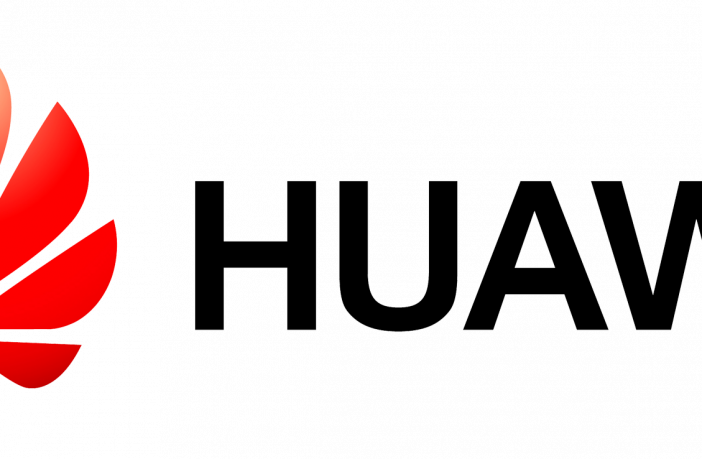 OPPO has been one of the fastest growing brands globally thanks to the popularity of models including the flagship OPPO R11 and the mid-tier OPPO A57 that captured third and fourth spots respectively. These were followed by Samsung’s flagship Galaxy S8, Xiaomi Redmi Note 4X and Samsung Galaxy S8+. 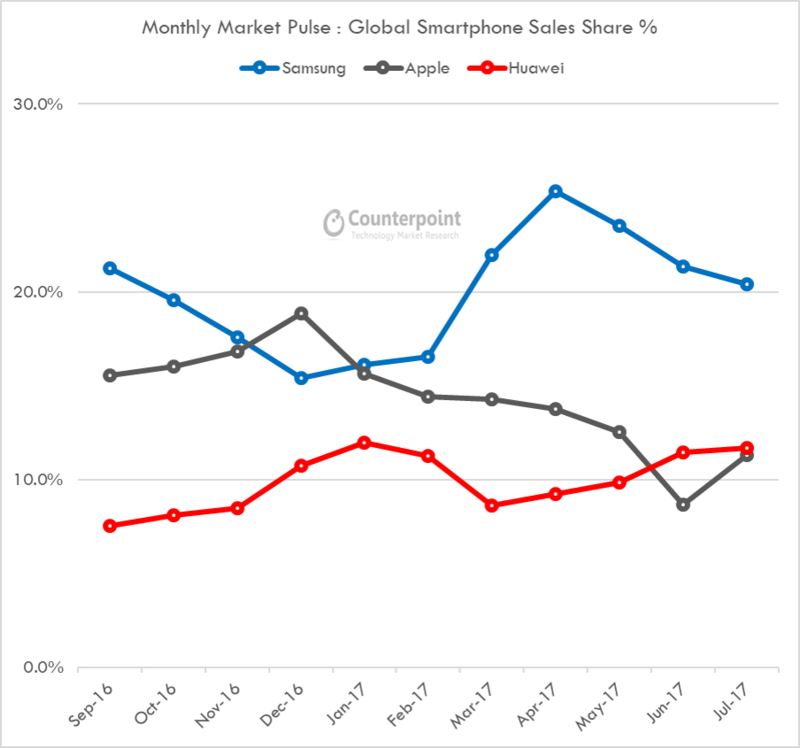 Apple’s 32GB refresh of the venerable iPhone 6 enabled it to regain momentum during the month, with popularity across prepaid markets to edge out Samsung’s Galaxy J7.